Central Florida theme parks have submitted their injury reports for the second quarter of 2017. There were a total of 16 illnesses or injuries that required a hospital stay of 24 hours, according to the state’s quarterly report. Walt Disney World reported 11 incidents, while Universal Orlando had four and SeaWorld Orlando had one. The incidents ranged from seizures to back pain.The injuries and illnesses happened between April and June. At Disney’s Animal Kingdom, a 31-year-old woman felt dizzy and lost consciousness on the park’s newest attraction, Flight of Passage. On June 12, a 79-year-old woman with a pre-existing condition also became ill after being on the ride. An 81-year-old woman had motion sickness on Harry Potter and the Forbidden Journey in April. An 18-year-old woman had a similar illness on Harry Potter and the Forbidden Journey. A 57-year-old woman with a pre-existing condition experienced stroke-like symptoms on Castaway Creek at Disney’s Typhoon Lagoon. A 48-year-old woman with a pre-existing condition had a seizure on Seven Dwarfs Mine Train at the Magic Kingdom in May. A 34-year-old man reported eye irritation on Expedition Everest at Disney’s Animal Kingdom. A 47-year-old woman fainted on the Incredible Hulk Coaster at Universal’s Islands of Adventure on June 20. A 45-year-old man reported back pain on the Kala & Tai Nui Serpentine Body Slides at Universal’s Volcano Bay. A 54-year-old man reported a shock to his arm on Journey to Atlantis on June 15. No incidents were reported by Legoland Florida or Busch Gardens Tampa Bay. An outing at Disney World, a county fair or any of the amusement parks around Florida should be a day filled with fun and excitement. However, an amusement park injury can turn a great day into a nightmare in just a matter of seconds. If you have been injured at an amusement or theme park, it is very important for you to contact an experienced injury lawyer before signing any documents or making any statements to a park owner or representative. The park’s initial offer will not likely cover certain necessary damages, such as ongoing medical needs or future losses. Nearly two dozen visitors to Six Flags America in Bowie, Maryland, were stuck on a roller coaster when it stalled Thursday. A spokesman for Prince George’s County Fire Department said firefighters rescued all riders on board the Joker’s Jinx coaster four hours after crews arrived to rescue them. Joker’s Jinx did not complete its regular ride cycle causing it to stop at a safe location on the track. The Prince George’s County Fire Department is onsite to assist in getting the riders safely off the ride. The safety of our guests is our highest priority and the ride will be closed for a thorough inspection before re-opening. The ride has had this problem before when it became stuck in 2014. The rescue took hours. Roller coasters, while thrilling, are the most dangerous rides at amusement and theme parks. Each year, roller coaster and theme park injuries account for 9,000 emergency room visits. If an amusement park’s negligence results in an accident, whether it be a roller coaster stalling or a slip and fall accident, injury victims may be entitled to financial compensation from the amusement park owners for their suffering. Police have reported that a teenage girl riding a Universal Orlando amusement park ride suffered burns after an electronic cigarette belonging to another rider exploded and shot a fireball at her. Police believe that the 14-year-old girl from Tennessee was riding the Hogwarts Express train Saturday with her family when an e-cigarette belonging to a rider in another group blew up in his pocket and the fireball hit her in the face and elsewhere. The explosion wasn’t big, but scared everyone on the train, according to reports. The girl was taken to the hospital with mild to moderate burns to her face, arm and leg. The man suffered minor injuries. An e-cigarette, also known as a vape, is an electronic nicotine delivery system that produces a heated vapor that resembles smoke. They have been for sale in the United States since 2007. E-cigarettes are now used by more than 2.5 million people in the U.S.
A boy has fallen from a classic wooden roller coaster at a western Pennsylvania amusement park. A spokesman for Idlewild and SoakZone amusement park says the child fell from the ride Thursday afternoon. A Westmoreland County emergency dispatcher says the child was conscious and airlifted to Children’s Hospital of Pittsburgh, about 50 miles west. A park spokesman said he doesn’t know the boy’s condition or where he was on the ride when he fell. It is unknown whether the ride malfunctioned or if horseplay was involved. The Roller Coaster opened in 1938 and takes riders up, down and around a wooded hillside. It doesn’t require seat belts, and children under 4 feet tall must be accompanied by an adult. The accident comes four days after a 10-year-old boy was decapitated as he rode a water slide at a Kansas water park. Roller coasters are enjoyed by children, adults and all thrill seekers, but what you may not know is that coasters are the most dangerous rides at an amusement or theme park. In recent years, more than 10,000 people have been treated in emergency rooms throughout the United States due to amusement park and roller coaster injuries. If a roller coaster accident, like a fall from the ride, was caused by negligence, an injury victim may be entitled to compensation from the owners of the park. Roller coasters have various speeds, height, intensity, size, G-force, etc. Children are the most susceptible to injuries from a roller coaster mostly because of the amount of G-forces a body can tolerate at high speeds. All bodies react differently from intense G-forces, so where one person may walk away unscathed, another person could suffer back injuries, neck injuries, brain injuries, spinal cord injuries, blood clots and wrongful death. Roller coaster seat belt systems can also cause injuries to riders depending on the differences in height, weight and size. Another issue, as this case highlights, is the risk of falling out of coasters from extreme heights. Sheikra is back open at Busch Gardens in Tampa after the roller coaster stopped Thursday with 64 passengers on board. The roller coaster reopened to riders at the amusement park Monday morning, park officials announced. Just before 6 p.m. Thursday, the ride stopped, stranding 64 riders 200 feet up in the air. Riders were evacuated after the roller coaster stopped suddenly with a car stuck on a steep incline. The roller coaster was stopped in two places — one just before the 90 degree drop and the other on the climb to the top. Park officials said right before the coaster cars that got stuck left the boarding area, the ride was determined to be safe. However, something caused the cars to stop at the top of the ride. Crews have been inspecting the ride and performing checks since the ride stalled. Amusements parks can be pretty dangerous when you think about it. Even when rides are working properly there is always some type of risk to riders. However, when a ride malfunctions, the chances of something bad happening drastically increases. While Busch Gardens has a pretty decent track record when it comes to safety, just one error can place innocent lives in jeopardy. The good news is that no one was harmed in this incident at Busch Gardens Tampa Bay. This is not always the case when a roller coaster mishap occurs. If anyone was seriously harmed or killed, depending on the situation, Busch Gardens could have been liable for the accident. A 3-year-old boy drowned Tuesday night at Disney’s Art of Animation Resort, according to deputies. The call came in around 8 p.m. to the Orange County Sheriff’s Office. Deputies claim the boy got separated from his parents and drowned in the pool. He was transported to Celebration Hospital, where he was pronounced dead. The family was visiting from New York. 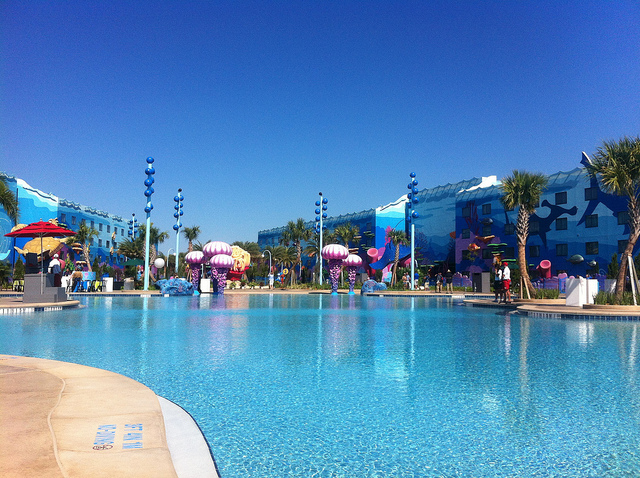 Florida, especially the Orlando and central Florida area, is home to a great number of water parks. Children of all ages love water parks, and they are an ideal destination for many families who enjoy the wave pools, slides and fun. However, if waterparks are not properly operated or staffed, they can be quite dangerous, especially for young or inexperienced swimmers. Children can easily get trapped by drains that are missing their covers or they can hit their heads while on a slide other ride and become incapacitated in the water. Waterpark operators have a legal responsibility to take adequate steps to ensure the water park is free from any hazards. This may include making sure the rides are built, maintained and inspected properly. Additionally, this also includes ensuring that drains are working properly and safety equipment is in working condition. Water parks must also ensure they are staffed accordingly. They must have enough lifeguards, and these lifeguards must be properly trained to perform their duties. Orlando Eye officials have confirmed that the ride was officially re-opened, almost 24 hours after it was shut down. Officials said that after conducting a thorough inspection, technicians were able to resolve the default that monitors the wheel’s position. According to reports, some passengers were stuck on board the Orlando Eye for nearly two hours on Friday. The ride stopped and guests were stranded on the large observation wheel around 3:45 p.m.
People remained in the capsules while engineers and technicians worked to fix the issue. No injuries have been reported. One of the Orlando Eye passengers told FOX 35 that she had been stuck for 90 minutes before fire trucks began to assemble below. She stated that the enclosed capsule had no fresh air being pumped through it at the time. Reports indicate that operators of the Orlando Eye maintained constant communication with passengers during the event. As of now, operations have been fully restored. Millions of visitors come to the Orlando area every year, and Orlando-area rides and amusement parks are a big reason why people choose this area as their vacation spot. The theme park business is highly competitive, and theme parks are always looking for the fastest, scariest rides that provide the greatest thrills to guests. The sad truth is that some of these rides that are designed to appear dangerous actually are. Due to negligent design, poor maintenance and other factors, many people can suffer serious harm on these rides. 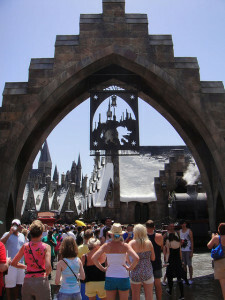 During the first three months of 2015, three people felt seriously ill after riding Harry Potter & the Forbidden Journey at Universal Orlando. According to a quarterly theme-park injury report submitted to the state of Florida, Walt Disney World reported six injuries and Universal reported seven. There were no reported injuries at SeaWorld, Wet `n Wild and Legoland. The parks report injuries that take place on a ride and result in an immediate hospital stay of more than 24 hours. At Disney’s Magic Kingdom, a 64-year-old man hurt his ankle while stepping out of a car at the Indy Speedway. At the Animal Kingdom, two people reportedly felt ill after riding Expedition Everest. Theme park accidents actually occur more often than the public might think. The major Florida theme parks include Universal Orlando, Magic Kingdom, Disney’s Typhoon Lagoon, Wet ‘n Wild Orlando, Disney’s Animal Kingdom, Epcot, Disney’s Hollywood Studios, Islands of Adventure, SeaWorld Orlando, Disney’s Blizzard Beach, LEGOLAND Florida, DisneyQuest, Busch Gardens Tampa Bay, Universal Studios Florida, Discovery Cove and many more.